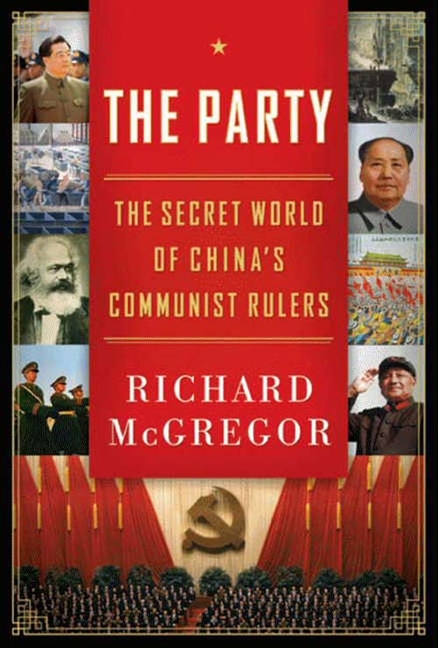 My nighttime recreational reading these days is Richard McGregor's The Party: The Secret World of China's Communist Rulers. I've not seen much yet in the book that sheds new light on China's engagement in Africa, with one interesting exception. In a chapter on the Party and the military (in which McGregor notes that the "heroic frontier business exploits" of the People's Liberation Army are now "a thing of the past") he gives an example of a business deal forged in Iraq in connection with the Iran-Iraq war (1980-1988). Apparently Iraq bought weapons from China during the war, on credit, but couldn't repay. This unpaid debt and negotiations seem to have dragged on for years. Finally, McGregor reports, on p. 116: "it was paid in kind in 1996 by offering PetroChina a $1.2 billion oil concession in tandem with Norinco, a state-owned weapons manufacturer. The US ousting of Saddam Hussein delayed the project, and work did not begin on it until 2009." The use of commodities to secure or repay export credits has a long history in China. As I pointed out in The Dragon's Gift, Japan used this system to finance its early exports and turn-key projects in China back in the 1970s. We know that Norinco has been involved in military sales in Zimbabwe. Rumors are that the Zimbabwe government secured these military export purchases with chromium concessions. In 2006, Norinco formed a joint venture with Zimbabwe Defense Industries (20%) and ZMDC (20%) to explore for chromite in Zimbabwe's Great Dyke. A similar story crops up surrounding Norinco's arms sales in Burma which seem to have been paid for with a copper concession. Does anyone have evidence on Norinco (or other Chinese companies') involvement in other cases like this in Africa? From what I can see, the Zimbabwe and Burma stories have consistent details and appear to be valid. The Chinese export finance model we have seen at work in places like Angola -- commodity-backed infrastructure loans -- should be seen as one option in a broader model of commodity-secured export and project credits. In the Iraq case, repayment in resources did not appear to be the first choice of either party, but rather something resorted to when conventional repayment failed. Does Norinco now sell weapons in order to gain access to resources? I doubt it, given the complications and riskiness of this kind of deal. But the lack of transparency and the extreme weakness of governance in the countries where these contracts are being signed, add another problematic layer to the already odious combination of debt, weapons, and natural resources. If you want to know more about Norinco's operations in Zimbabwe I suggest you contact Peta Thornycraft. She is a Zimbabwean journalist with decades of experience covering events in the country. I have been trying to get hold of her about this very deal myself. I had a conversation with her about a month ago and she seems to have some information on this deal. However since then been unable to follow up with her on this. Just to quickly expand, Thornycraft told me that Norinco has bought out Zimplats share in the Ngezi Platinum Mine in the Great Dyke area from the Zimbabwean Army. I have not yet been able to follow up on this but if it is the case it is noteworthy. Interesting ... there is a lot going on in Zimbabwe right now and it's exceedingly difficult to follow. I expect we'll be seeing some new reports very soon.